This year sees the introduction of the electric MotoE series within selected rounds of the MotoGP calendar – and providing they can get through the rest of the year without burning the paddock to the ground again, it will be fascinating to see the bikes’ progress. 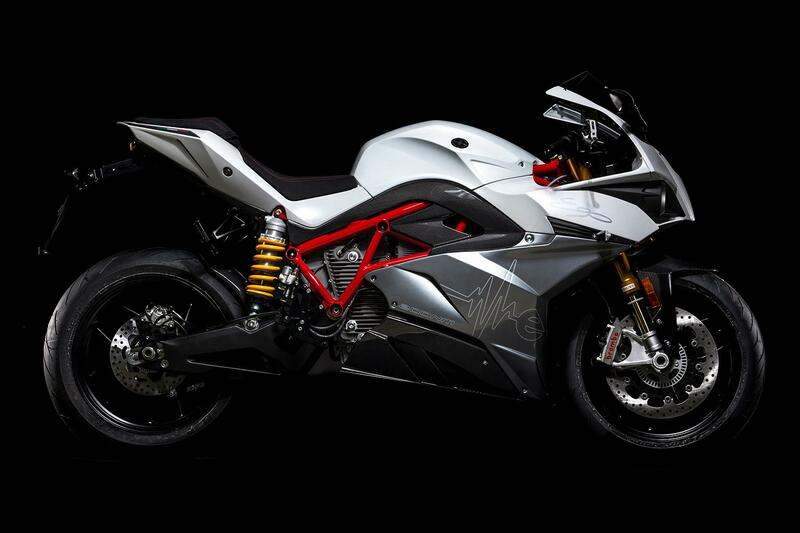 The one-make series sees all riders competing on identical electric bikes supplied by Italian firm, Energica, and while there is a perception it’s more marketing ploy than a prototype race series, there have already been tech learnings before they’ve really turned a wheel in anger. 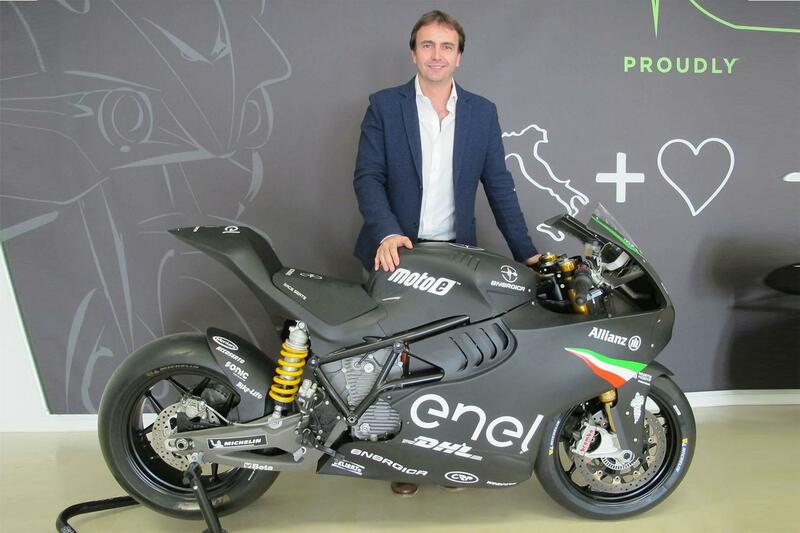 Speaking to MCN, Energica’s Chief Technology Officer, Giampiero Testoni, recently revealed that MotoE is driving their development of a new generation of electric sportsbikes for the road. "Initially the Ego Corsa MotoE bike started out as an Ego road bike that was stripped of its road equipment," Testoni explains. "However, we quickly changed the suspension, chassis, battery, brakes, electronics and in the end the only part that remains the same is the electric motor and the chassis’ geometry. "The MotoE bike’s battery is both smaller and lighter than the road bike’s but contains almost double the energy due to new cell technology while the electronics are also updated. In a few months of concentrated development on the Ego Corsa we achieved what would have taken us years of road testing." 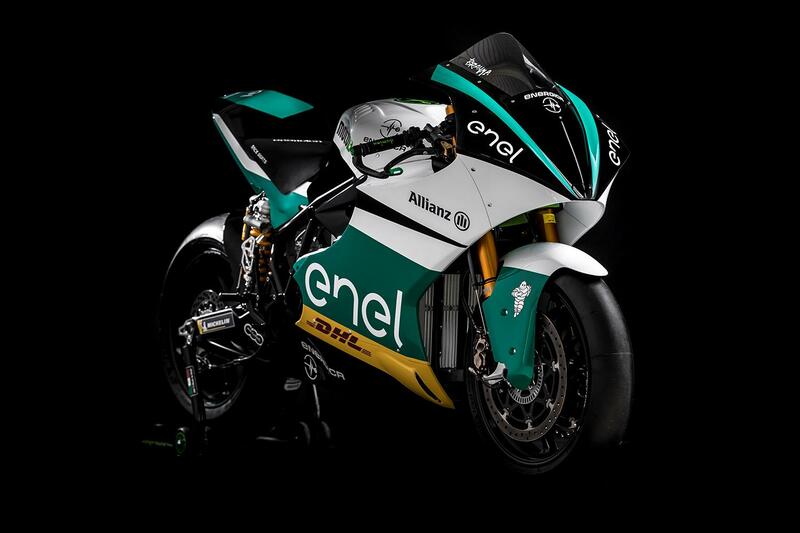 As well as the obvious publicity and TV exposure, this rapid development process was the main reason Energica signed the three-year deal to secure being the sole supplier to the MotoE championship. "We have 18 of the world’s best riders giving us feedback and we are using this to develop the next generation of Energica road bikes," said Testoni. "We have already developed new electronic system that exploits the bike’s power better by improving throttle response, torque and mapping. "We even have a new engine braking button, which racers can use to instantly add extra engine braking to help them slide the bike into bends.” And the technology developed in MotoE could find its way onto our roads as early as next year, according to Testoni. "The MotoE bike can already exceed 167mph, weighs less than 260kg and its battery has almost double the capacity of the current production bike with just over 20kWh," he said, "And every year the lap times have to reduce to show MotoGP fans we are advancing. "This technology will come back to the Ego road bike and in 2020 we will unveil a completely new platform of electric sportsbike based on the MotoE bike’s technology. 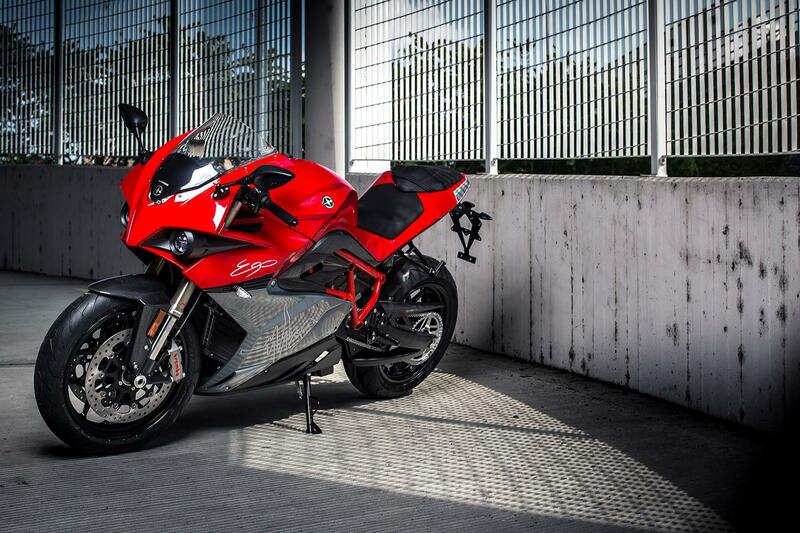 We are aiming for a range of 125-miles irrespective of use with similar torque levels to the current bike. "Recharge time is not an issue, we can already recharge in 25 minutes with the correct infrastructure due to our fast charge technology. But the ultimate goal is not to beat or replace a petrol-powered sportsbike such as a Ducati Panigale, it is to offer an alternative with equivalent performance. Some riders will always want petrol, but a new generation will want electric." 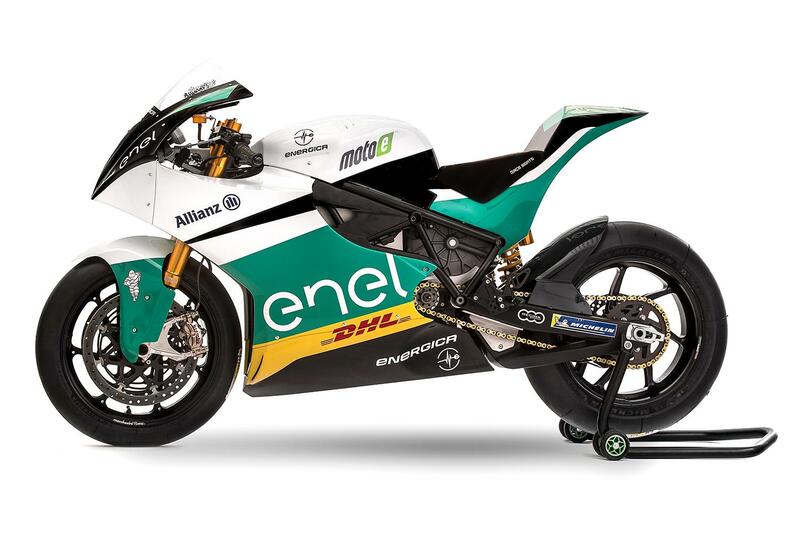 Italian electric bike manufacturer Energica was selected back in 2017 as the one-make factory supplier for MotoGP’s electric support class. The series, headed by former Michelin MotoGP boss Nicholas Goubert, runs tuned versions of the firm’s Ego road bike, which produces 145bhp and is capable of 150mph, with a road range of around 80-100 miles. "We are proud to have been chosen by Dorna and we are already committed to this project. The passion for engines is what brought us here, to build new dream vehicles right in the beating heart of the Italian Motor Valley, Modena, Italy. "We took the electric field to another level: each Energica undergoes quality control and performance tests, and our R&D department is always focused on new technologies and their practical application. "Our history comes from racing, our passion for this sector has never faded. MotoE is an excellent project. After all, it is what we hoped since our racing years, now it can be managed professionally thanks to Dorna and its unique and long-lasting experience." 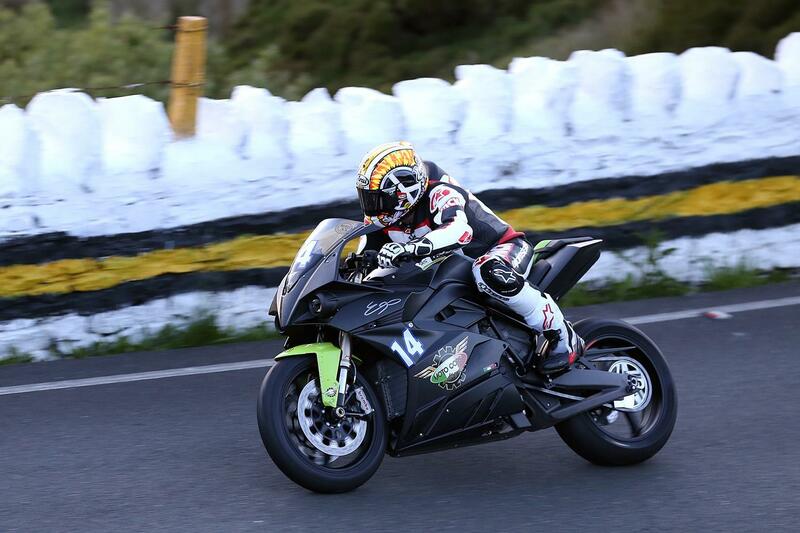 However, the bike already had some racing experience in the hands of MCN’s former road tester Adam Child, who competed at the 2017 and 2018 Isle of Man TT on one in the TT Zero class. Meet the Energicas: Which would you buy?